Guinness alert! Before passing away in 2007, Italian collector Amatore Bolzoni made it into the record books with his quirky collection of more than 2,000 condoms, gathered over decades of world travel. 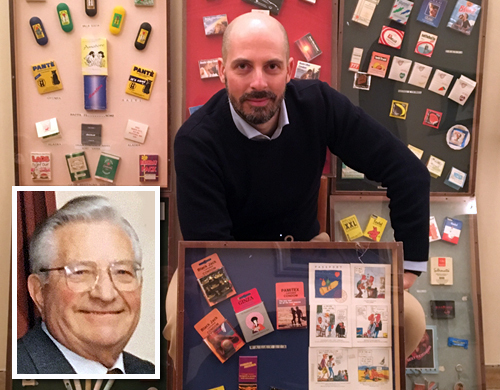 Today his son, Massimo, celebrates his father's memory (and humor) by preserving the collection — and even adding to it.